The Carnegie Museum was Roseville’s first public library. It was built in 1912 on land donated by A. B. McRae with partial funding from Andrew Carnegie. The building was renovated and re-opened in 1988 as the home of the Roseville Historical Society. Recent renovations have made the building ADA compliant. Roseville's first Public Library was built in 1912. William Keehner grading Lincoln Street in front of the new Public Library. The brand new Roseville Public Library circa 1912. In 1979, Roseville opened a new main library near Royer Park and the Carnegie Library building remained a branch library until 1982. At that time, the building was closed and slated to be leveled for a parking lot but a group of concerned citizens founded the Roseville Historical Society and preserved the historic building. 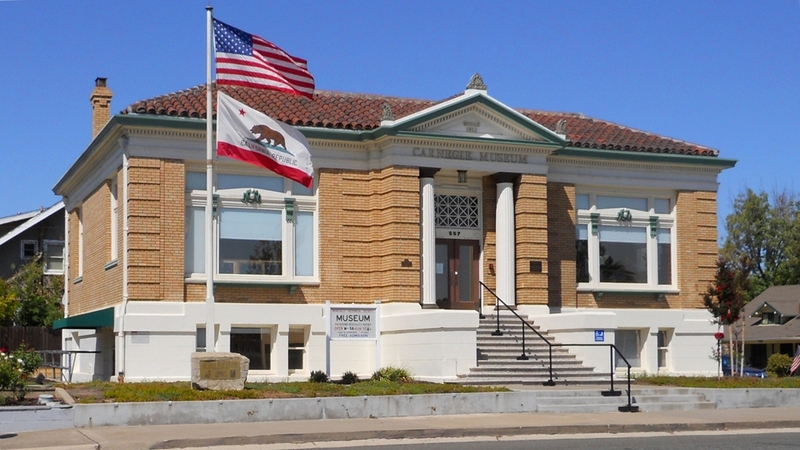 After extensive fundraising and major restoration work, the Carnegie Library building was reopened in 1988 as a museum with the express purpose of housing the Roseville Historical Society and its efforts to preserve and promote the history of Roseville. After almost 80 years from when the building was originally completed, repair of the hardwood floors alone cost $12,500 -- the same as the cost of construction in 1912. Renovating the old Public Library in the 1980's for its new use as home to the Roseville Historical Society. In 2012, the Carnegie Library building, City of Roseville Electric, Roseville High School and the Girl Scouts were all celebrating their centennial. These groups came together and gave of their time and generous donations to ensure the Carnegie Library building celebration was a success. The building itself received some much needed upgrading, including the installation of a new ADA compliant elevator. The City of Roseville also had a beautiful Victorian clock that had been donated to them, and all involved felt that the perfect place for the clock was on the grounds of the newly restored library building. It was a grand celebration and the beautiful clock is the perfect reminder of our historic day.